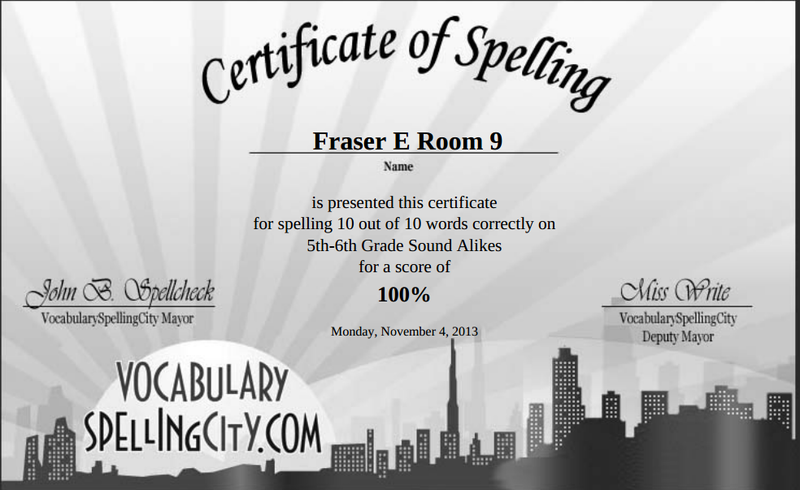 Today I went on a site called Spelling City. We had to spell words that were called out. I was very excited because when I finished I got 100% in spelling. 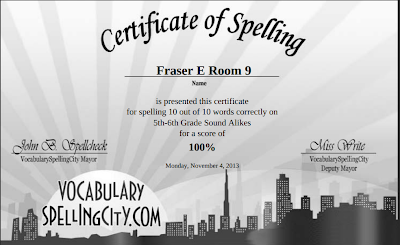 I got a certificate for spelling.